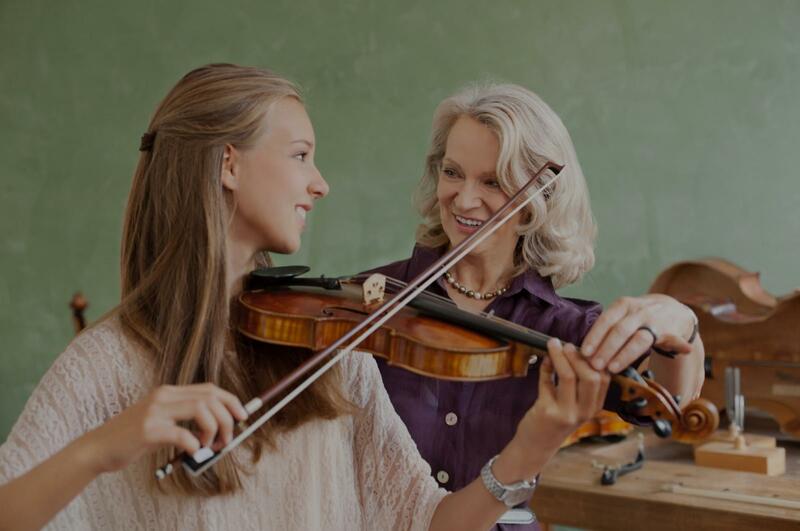 San Mateo, CA Violin Lessons Near Me | Fun Classes. Top Tutors. "It was a good session with Kristen. She is an accomplished musician.Looking forward to moving up to the next level with her help." "Kristen is very patient and sweet with our daughter who is pretty new to violin." my undergraduate violin performance degree at Mills College from 2010-14, and Gloria helped me develop a lasting appreciation for listening deeply and developing focus for small details. We worked together on everything from solo Bach and Hindemith sonatas to concertos, chamber music, and orchestral excerpts. She has been a lasting influence in my life as a musician, and I will continue to return for musical and creative advice over the years even when I live far away." San Francisco, CA teacher: Gloria J. "Mia is one of the warmest and kindest violin instructors I have ever had. Not only is she a wonderful person- she is also an extremely skilled teacher! I hate that I moved away for work, I would still be taking lessons with her if I could!" San Francisco, CA teacher: Mia N.
hter loves her lessons, and is always excited to tell me about something new she learned that day." and learn. We have in-home lessons and Sam is always on time. If you're thinking about lessons for yourself or your child, I would definitely recommend Sam!"